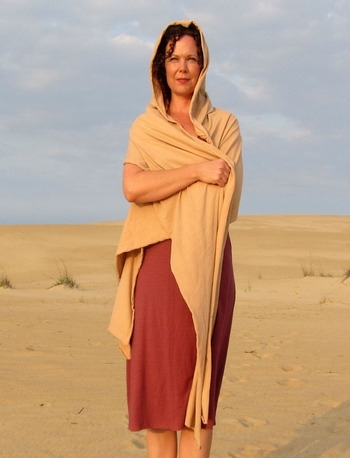 Another version of our Sari, designed to give the appearance of an Indian Sari style. The torso or shirt part of this dress is made with our stretch fabric for an easy fit and you can choose your sleeve length. 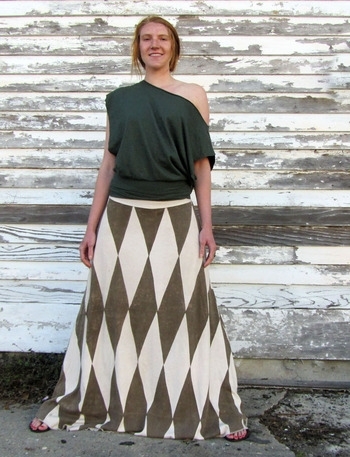 Bottom of dress is a full skirt design made out of our knit fabric. The super long piece of fabric is attached at front for wrapping and draping around the body in as many ways as you can imagine. 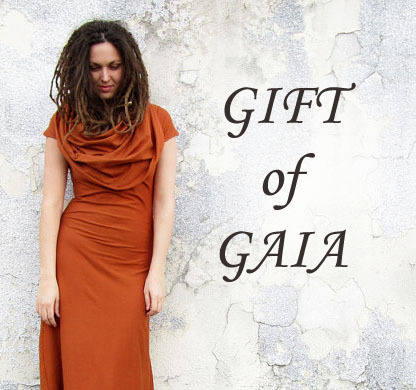 Talk about 20 dresses in one, this is the infinity dress Gaia Conceptions style. Unique and amazing enough to make a causal wedding gown yet functional and simple enough to wear any day of the week.